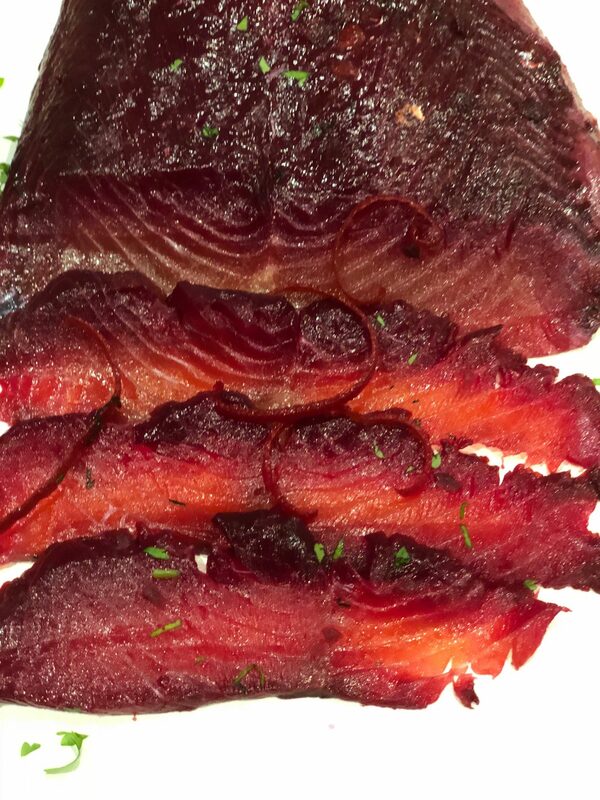 Vodka and beetroot cured salmon - home cooked food delivered. 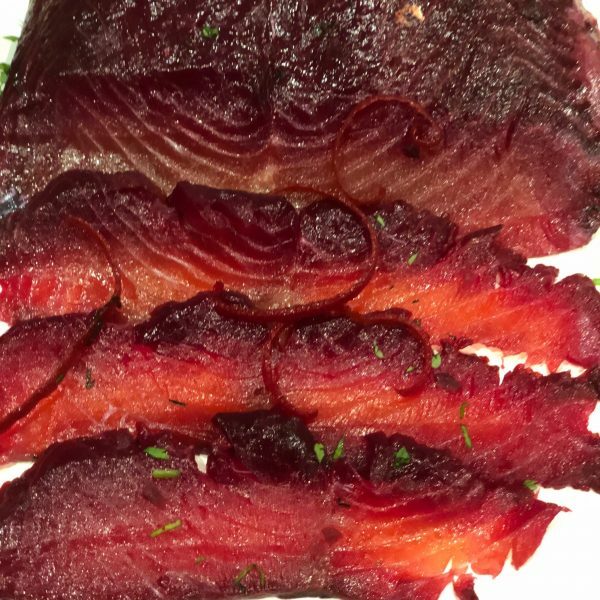 Our delicious, home cured salmon marinated in fresh beetroot and vodka makes a versatile dish, simply sliced as a fabulous starter or an ideal canapé. Salmon (FISH), Maldon sea salt, demerera sugar, horseradish, fresh beetroot, vodka, fresh dill, lemon zest. Remove from packaging and carfully scrape of the marinade. Place on a board and using a sharp knife slice to your liking on an angle for best results. Keep refridgerated and use within 7 days. Do not freeze.